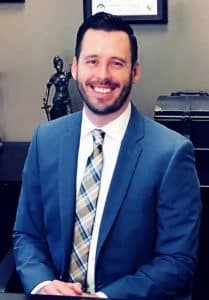 For Car Accidents, Motorcycle Accidents, Truck Accidents, Slip and Falls, Nursing Home Abuse Scenarios, Pedestrian/Auto Collisions, Personal Injury Lawsuits, and Workers' Compensation Claims. 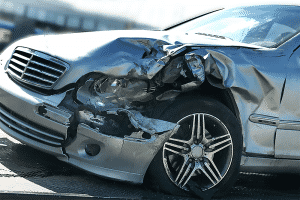 We are local Accident Injury Lawyers here in La Verne California! 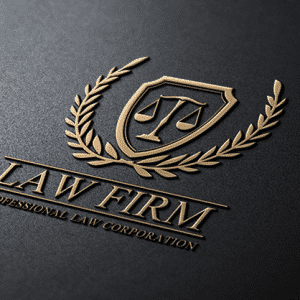 When looking for an attorney, it is of the utmost importance that you seek out a reputable local law firm. Whether it is a slip and fall, a car accident, or a nursing home abuse scenario, putting a qualified attorney in your corner will facilitate the likelihood of a favorable outcome. At Napolin Law, we get results. 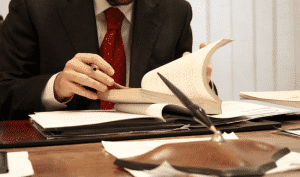 We are a respected choice for those in need of legal representation in La Verne California. The firm is made up of a team of lawyers and trained legal professionals who diligently represent the client's interests. 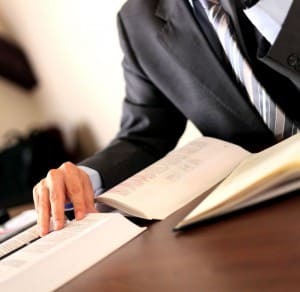 When you retain us, you gain the comfort of knowing that your case is being pursued by attorneys who care and who have a track record of successful case outcomes. 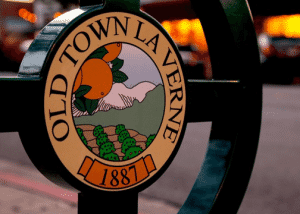 Napolin Law consists of accessible, experienced La Verne attorneys who provide free legal consultations to the community. When you place a call to us, we respond with an attorney who is available and willing to discuss and analyze your case immediately, right over the phone. During that first conversation, the attorney that you speak with doesn't just ask you to recite the facts of your case. Instead, our attorneys listen to your story, apply their experience, and analyzes your situation right then and there. So if you are looking for answers to your questions, we are the right firm to call to get them. After the initial conversation, we discuss the financial terms of the case, including how you pay the firm for assistance that you need. In most injury cases, we offer legal representation on a contingency fee basis. A contingency fee means that the client only pays when we recover money on their behalf. For some cases, however, we may require a retainer (money up front) before legal work can commence. To learn about what kind of payment method your case qualifies for, simply contact our office with to inquire. Please understand that we only meet with clients by appointment only. Therefore, please call or come by in advance to schedule an appointment to meet with an attorney. We are here to have a serious conversation about your accident injury case, serving the residents around the 57, 210, 10 and 605 freeways in La Verne California: Pomona, Diamond Bar, Chino, Montclair, West Covina, Covina, Walnut, San Dimas, Los Angeles, Claremont, Upland, Glendora, Azusa, Baldwin Park, Ontario, La Puente. 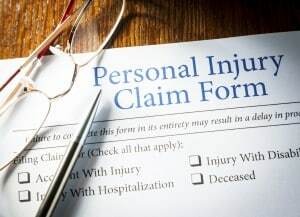 Where a personal injury has taken place, it may be possible to obtain compensation to pay for hospital bills, lost wages and pain and suffering. However, to acquire justice and compensation, most scenarios require the assistance of an experienced personal injury attorney. It is invaluable to have a qualified attorney on your side who can provide necessary advice and increase case value significantly. 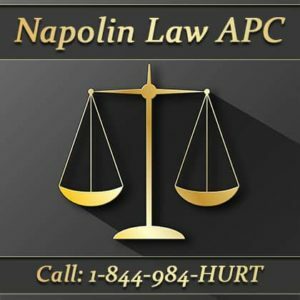 Napolin Law is ready to speak free of charge with those who call looking for help for an accident injury case. Handle all communications related to the claim or case. This takes pressure of the client by relieving them of having to deal with an insurance adjuster. This alone removes significant stress that hinders injury recovery. It also protects the client from saying something that the insurance company could use to fight the viability of the case as a whole. When one of our attorneys speaks with the adjuster, they will know that they are dealing with a firm that means business. Aid the client in finding quality medical treatment necessary to recover from accident injury. Here at our firm, we don't only do the legal work, we also help our clients understand their injuries and how to obtain and pay for medical care. For many this is invaluable advice that changes their life more than any amount of money recovered through a lawsuit. Make strong argument for maximum compensation to the defendant insurance company. We have an earned reputation for our strong demand packages that get the insurance company to pay up before the case goes to trial. This means that you save on time and costs because you get your money sooner. When we make a demand, we make sure the insurance company listens. And when there is not adequate compensation offered, we take your case to a jury for justice. Do not go it alone when you may be able to qualify for contingency billing with Napolin Law. Call today to put a successful nearby personal injury lawyer in your corner. 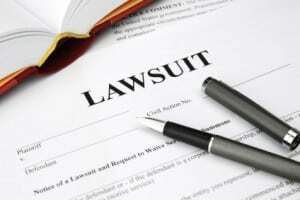 Many people are afraid to call lawyers for help with their accident injury. But there is often no other choice when faced with the need to pay for medical expenditures and replace lost earnings due to missed work. Quite often, standard health insurance plans do not cover needed quality therapy such as chiropractic, spinal decompression, traction, physical therapy and acupuncture. When brought on board, we become available to assist in any way that we can. This includes helping the client obtain immediate medical evaluations and treatments not generally offered by standard health care insurance companies. In most situations the costs of care are paid from the settlement proceeds without the need to pay co-pays or deductibles. When work is missed, loan may be necessary to cover bills. We also help clients obtain settlement advance loans. When we say we are here to help you, we truly mean it, and not just on a legal level. We want to see you recover as much as possible from the injuries you sustained. There's no need for you to be afraid of your case going to trial, either. We have the experience it takes to present your case to a judge in the most favorable manner possible. Our experience is what helps us determine which cases are most likely to go to trial, which means we will fight until the end to make sure you compensated for your injuries, even if it means going to court. For cases we feel are best left out of the courtroom, we strive to reach negotiations with the other involved parties. With Napolin Law focused on securing justice and compensation you can achieve peace of mind and focus on physical and emotional recovery. If you have questions about an accident injury, or if you're interested in a a free consultation, please reach out to us today. 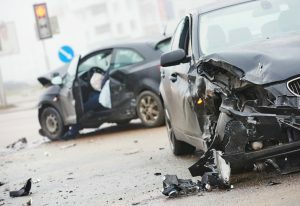 If and when you are involved in an auto accident in California, you should collect certain pieces of information from the other driver or drivers involved. Most people do collect this information, but some do not. It's imperative that you obtain services through a law firm that has much experience in handling the type of case you have. This is especially true if you have a car accident claim. Car accidents and personal injury claims can be extremely complex, but with a qualified lawyer on your side, you can rest easy knowing your case will be handled as necessary to secure any compensation due to you. It's important that you be able to provide as much car accident legal information as possible when bringing us your car accident case. One of the simplest ways to jot down all of them information listed above is by taking pics with a cell phone. Even older phones often have cameras on them that can take clear pictures of driver's licenses, insurance cards, etc. Just remember, the more information you can bring to us, the easier it is to secure a favorable outcome for you because we will have a clearer picture of the accident and how much compensation is actually due to you. Most importantly, you'll want some type of report developed for the accident, which will involve you calling the police, or 911 if necessary, to document the time period of the accident and what all took place. If you are in need of medical attention, or any of the involved parties, please make sure they receive adequate care before worrying about the collection of information. If you are unable to secure the above requested information, please don't fret. We can always obtain the information through our investigative and research sources; however, this may extend the amount of time it takes to have your case settled. 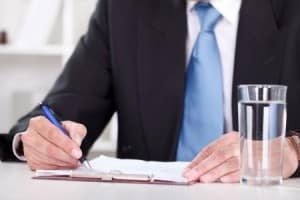 The number one rule to keep in mind when it comes to auto accidents is that you should never give a recorded statement unless an attorney is present. One simple mistake in the wording of your conversation can completely change the outcome of your case. Because of this, you need to perform any recorded statements in front of your lawyer, and the statement itself should already be discussed and practiced before giving it. If you would like to learn more about car accidents and the injuries that qualify for an injury claim, please contact us today. We have the experience and knowledge needed to make sure you are paid all that is owed to you. It's not everyday that you get hurt on the job, but if that day ever comes, there's a good possibility that you can qualify for workers compensation. In addition, you may be able to file some type of personal injury claim. There are millions of people each year who get hurt on the job. Some of them suffer from minor injuries, while others battle their detriments on an ongoing basis for the rest of their lives. No matter how small or big you may anticipate the injury sustained, there's always the chance that it could become more problematic; this is why filing a workers compensation claim is of the utmost importance. And even more important is that you have the claim handled by one of our highly-qualified attorneys. Did you know that insurance companies will lie to you? Yes, that's right, but a qualified attorney can pinpoint these lies and deliver you with the truth of just how much money is owed to you as a result of your workers compensation claim. It's important to let one of our attorneys handle all communications with the involved parties, including insurance companies. Not only will this allow you to focus on your recovery, but it gives you peace of mind in knowing your claim will be handled with great care and that a favorable outcome will be secured for you. Have you been injured at work or while performing a work-related task? If so, contact us today and set up a free consultation. 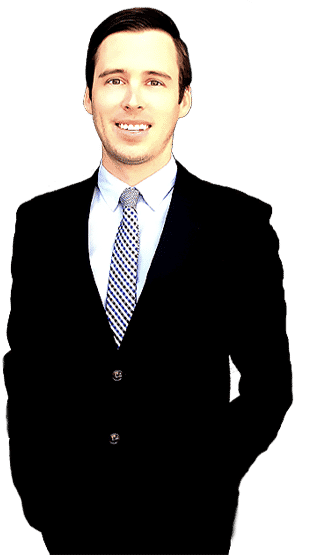 Our firm will assign an attorney to you who has much success in resolving cases like yours in the most favorable manner possible. Even if you think your case is not worth taking to court, we want you to know that not all cases are taken to court. In fact, a large percentage of them are handled completely outside of the courtroom thanks to negotiations and settlement offers. After being hurt on the job, there will be many medical expenses that have to be covered. From simple follow-up appointments to surgical procedures, these medical expenses can be quite costly. Even if you are prepared to handle a workers compensation claim yourself, it's will still be beneficial for you to speak with a qualified attorney beforehand. One of our attorneys can look at the claim for you and give you advice as to whether or not tackle the claim yourself or hand it over to someone knowledgeable about workers compensation law. 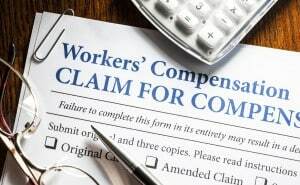 Contact us today to learn more about workers compensation and the many ways in which this type of compensation is due to you after being injured on the job. With our qualified team of investigators, research specialists, paralegals, and reputable attorneys, you can rest easy tonight knowing your claim is being handled for you. Slip and Falls, Bus Accidents, Workers' Compensation, Personal Injuries, Medical Malpractice, Car Accidents, Pedestrian Accidents, Nursing Home Abuse, Injuries Claims, Truck Accidents, Wrongful Termination, Accident Injuries, and Motorcycle Accidents. No obligation, free consultation find out how Napolin Law may be able to help with your legal matter. Contact our La Verne Law Office now at: 1-909-632-1212 or fill out our evaluation form on the go. If you or someone you care about has any injury related legal issues, our law office may be able to help. Call Now: (909) 632-1212 - We are available! The most important thing to me was Alex's honesty. Thanks for the Review Ricardo for the awesome review!!! *Napolin Law APC only accepts ex parte notice and service of process at the San Bernardino County Ontario office. ATTORNEY ADVERTISEMENT. 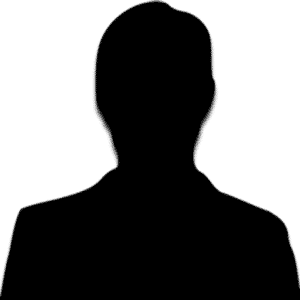 The information on this website is for general information purposes only. Nothing on this site should be taken as legal advice for any individual case or situation. The information on this website is not intended to create, and receipt or viewing does not constitute, an attorney-client relationship. NOTICE. Making a false or fraudulent workers' compensation claim is a felony subject to up to 5 years in prison or a fine of up to $50,000 or double the value of the fraud, whichever is greater, or by both imprisonment and fine.